GF Ontario Blog: Jax is nominated for a gluten-free award! Jax is nominated for a gluten-free award! Anyway, I've been nominated for an award! 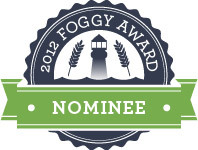 You, your client or boss has been nominated for the inaugural FOGGY (Free of Gluten) Awards presented by Find Me Gluten Free. This is the first awards program in the gluten-free industry to honor the individual people that shine light on the gluten-free industry. I am in the Top 40 Under 40 category, going for the title of 2012 Young Executive of the Year. Wouldn't you love to see someone local win?! I am up against people like Elisabeth Hasselbeck, Steve Nash, Novak Djokovic and some other pretty big people in the gluten-free world. I am honoured to represent Canadians everywhere. 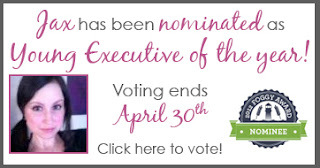 I would certainly love to win and I would like you to vote for me please! To find Jax, you have to go to 'top 40 under 40'. VILLA Restaurant does not disappoint!